Actually, the customer didn’t know much about the used tyre recycling pyrolysis equipment at first. He visited us three times before really confirmed the order of 4 sets used tyre recycling pyrolysis equipments. The first visit is in December, 2017, when he just started to learn about waste tyre to oil project through news on the Internet. He runs a auto repair shop, thus often has a lot of waste tires to deal with. The waste tyre to oil pyrolysis project provide him a good way to dispose the waste tyres. Our sales manager gave him a brief introduction about the used tyre recycling pyrolysis equipment and showed the working process with 3D animation video to him. The customer, very careful and meticulous, discussed a lot of equipment details with our salesman. The second visit is half an year later after he visited many pyrolysis plant manufacturers and made detailed research. This time he came with his partners and visited to only two final suppliers which include us, and wanted to make the decision to choose only one. After second visit to our factory and discussed about the order requirements, they went back and studied on both our and the other suppliers proposal. 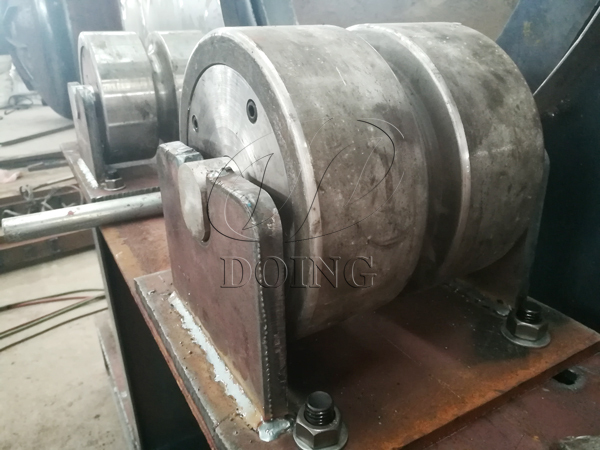 Within two weeks, they contacted us and wanted to finalize the order. In order to get better communication, we directly sent representatives to their location for discussing the details. 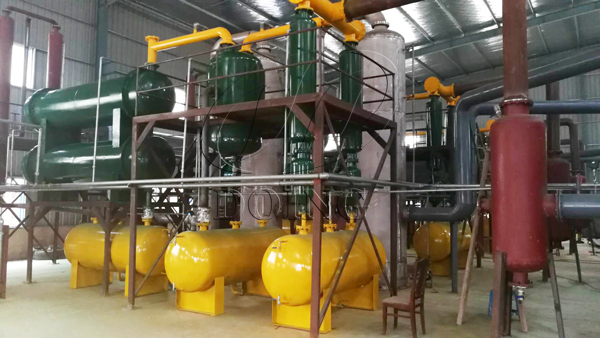 After almost one whole day discuss from morning to evening, one order of 4 sets 12T/D used tyre recycling pyrolysis equipments was finally finalized. In the same day, we signed the contract, and customer directly paid RMB20,000 as deposit, then paid the full deposit in one week. 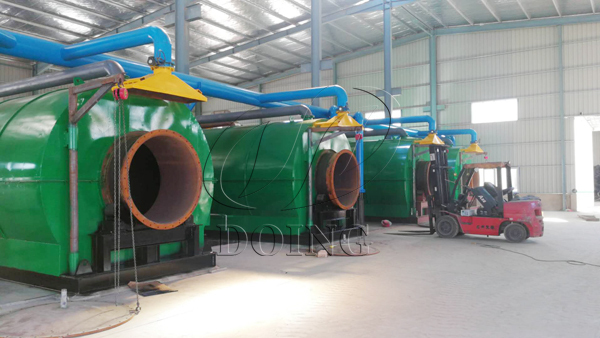 In October, when 4 sets used tyre recycling pyrolysis equipment were ready, customer came to inspect all details one by one according to the equipment list, till all the equipments loaded on trucks and started out to his factory. After the 4 sets used tyre recycling pyrolysis equipments arrived at the customer’s factory, we arranged a professional engineer to Fujian for the machine installation. The customer involved in the installation himself, and checked every problem in the whole installation process. He is very satisfied with the installation technique of our engineer. 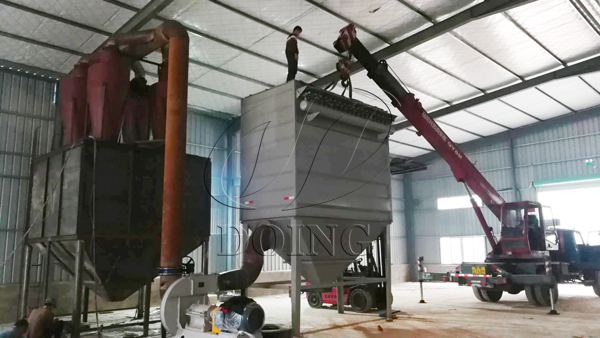 Now the installation of the used tyre recycling pyrolysis equipments is nearing completion and looking forward to good feedback from the customer.